Growing an online business requires time, effort and dedication. Once you have read that post and started yours, how do you intend to grow it? To succeed in the business place today, you must have organizational, analytical, numerical, and good planning skills. As an entrepreneur myself, I can tell you that there isn’t a quick fix for growing an online business. If you are an aspiring entrepreneur, thinking of starting up your own Online Business, you should take heed of these pieces of advice. These tips would help you while starting and maintaining your business. 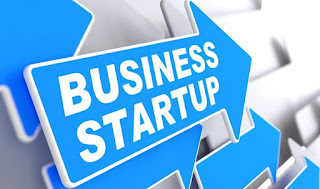 Many aspiring entrepreneurs assume that starting an Online business is the best thing since sliced bread, but it is far complex than assumed. You just don’t sit in the corner of your new office, turn on your computer and start making money. However, if you intend to achieve success with minimal efforts, then you should take your time and plan out all you would need to succeed. What are the tips you need to grow your Online business? Which problem your Online business would ease your customers. Likely partners for your organization. Being smart isn’t enough but working harder than everyone else. Learn how to be a leader by reading books or blogs and attending various training on marketing, finance, business leadership, salesmanship and management. Seek out mentors who ran or are running successful businesses. Ask them to help you grow as a leader. And then hustle harder than everyone else. To grow an Online business doesn’t require only smartness. You must be willing to sacrifice a sizeable portion of your night sleep to achieve success. Since I train people to build an Online Business just like I have done, I tell them the problems I solve for them. I make them realize that instead of following the trial and error way of starting a business, they can read a guide that made me successful and make money from it also. Work to keep your small business in the public’s eye. Use SEO, social media, publicity stunts, advertising, partnerships with big brands and good old advertising. Our world is ever-changing. If you’re not, don’t be surprised if your results do (for the worse). Try new things to find out what works best. Spend and it’s gone forever. Invest and it might return to you–and then some. What are you investing in?? One of the best investments is investing in yourself (personal development), the return on investment is huge when you invest right. If you want to invest right then you want to invest in the right training because it has huge value with high potential returns and not because it is cheap or convenient. When you invest in a training that is cheap and convenient when you are spending – most people spend on training and not invest. Read informational guides like some of the ones I have created, and request for mentoring from people like me who are successful in the business. Anyone can write an information online, but not everyone knows the practical knowledge. Growing an Online business isn’t easy. But with the right mindset and ideas, it can become a goldmine. Know the best of starting a profitable Online Business by subscribing below. You will get access to lots of my premium articles.